Tzipporah and Tarzan's Son. Tzipporah and Tarzan and their new baby boy, Hezekiah. Wallpaper and background images in the 迪士尼跨界（crossover） club tagged: disney crossover dreamworks. This 迪士尼跨界（crossover） photo contains 动漫, 漫画书, 漫画, 卡通, and 漫画卡通. Oooo, Tzipporah and Tarzan... I think I like them as a couple. :) Very good pic. cute never thought of that couple. 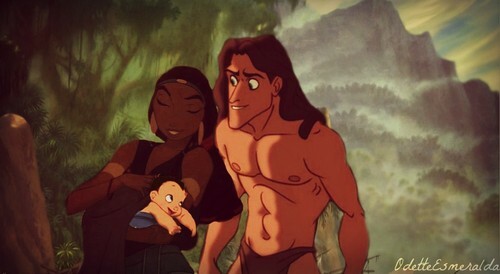 Beautiful :-) I love Tzipporah and Tarzan.